Valerie Phillips‘ ninth photobook “Another Girl Another Planet,” published by Rizzoli, is a compilation of Phillips’ favourite photographs. For fifteen years, Phillips has captured the girl experience through vibrant, candid and bold photographs of young women. In her volume “Another Girl Another Planet,” the photographer revisits her earlier work comprised of images from self-published books, editorials, advertising, and album covers. Swedish artist Arvida Byström, who was the main subject of her former book “How you are beautiful how are you,” lovingly penned the foreword of Phillips latest photobook.”She meets up with her subjects to hang out with them, get to know them better while studying their universe”, writes Byström in an attempt to explain Phillips approach. 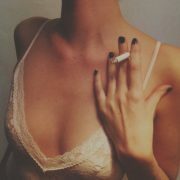 Halfway between fantasy and reality, her images carry a strong sense of girl power and emancipated feminity. Needless to say, this is a books that shows that every girl is a planet with plans to take over the world. We talked to Valerie about her first influences and her love for post-punk music. Lola Who: How old were you when you first started taking photos and do you remember your first images? Valerie: The first images I care to discuss were of The Manic Street Preachers and PJ Harvey – I guess I was in my early 20s. I was lucky enough to work with two of my favourite artists early on in our respective careers. I still really love the pictures we made together and I still love their music. Lola Who: Did you grow up reading and looking at fashion magazines, or were you more drawn to photojournalism publications like The National Geographic? Valerie: I’ve never been interested in photojournalism. I grew up reading The Face, i-D, NME & Smash Hits. I was also into zines. 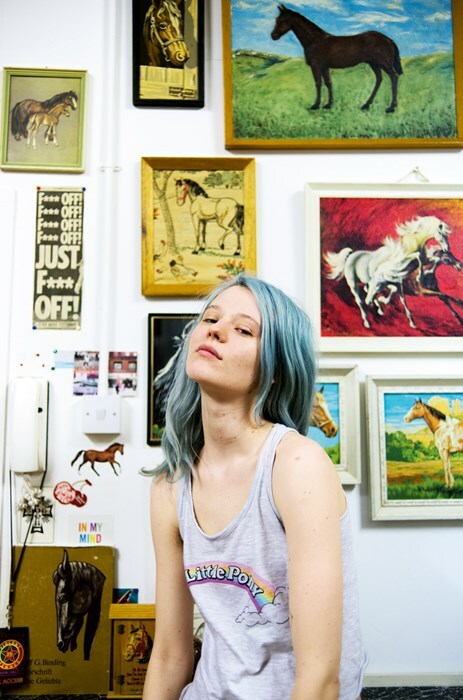 I was interested in non-mainstream fashion, street-style, young designers & Vivienne Westwood. I hated American magazines—they were super sanitized, boring and completely out of touch. Nothing much has changed there! 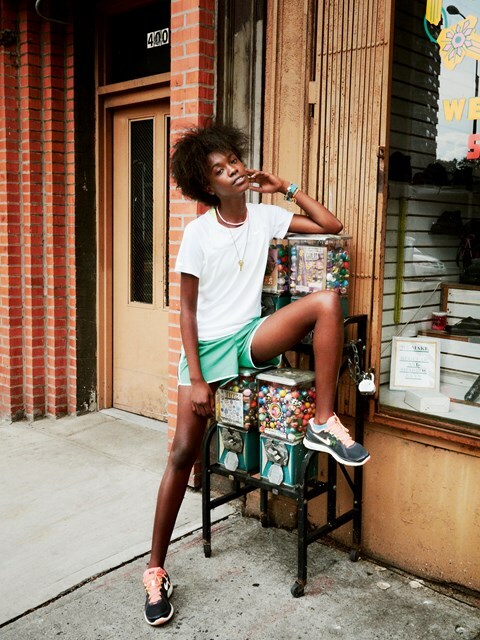 Lola Who: How did growing up in New York influenced you? 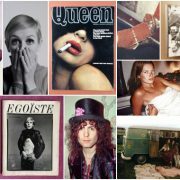 Can you tell us more about your early influences in terms of music and fashion and how that translated into your photography? Valerie: I liked punk and post-punk bands, and from the age of about 14 was out most nights at clubs seeing all the British bands (and some local ones) that came to New York. It was a really exciting time. New York was rough and mysterious and there was a ton of amazing art and underground stuff to explore. Endless. Nobody really cared how old you were, you could get in anywhere if you were a little crafty. Printed Matter, an independent zine/art bookshop in New York, had an enormous influence on me and continues to do so. 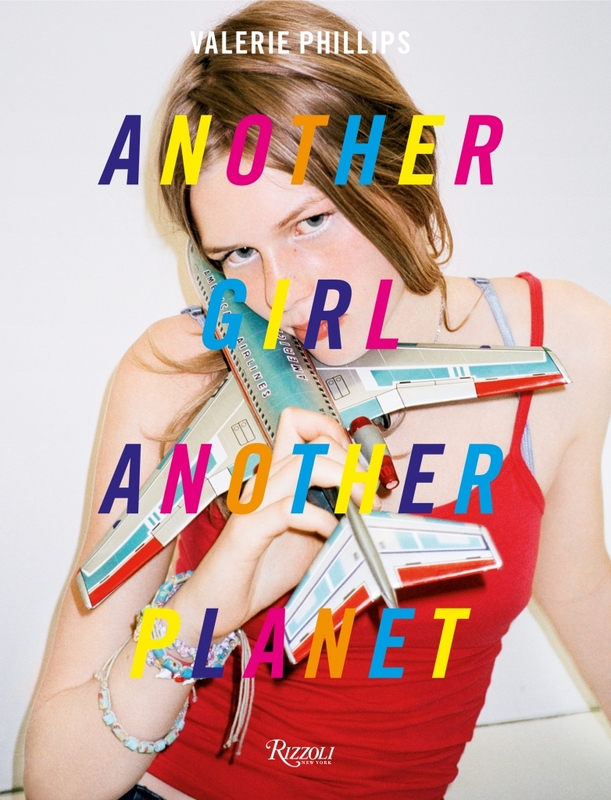 Lola Who: What’s the story behind the name “Another Girl, Another Planet” and what did you wish to accomplish with that book? Valerie: “Another Girl, Another Planet” is one of my all-time favourite songs. It’s by British post-punk band The Only Ones. With ‘Another Girl’ I wanted to make a book of my favourite images, designed by my fave designer “Farrow”. A book that was totally original, with random pop culture influences seeping in from my life and the girls lives. I didn’t set out with a particular agenda, but I like that the book shows that “fashion” doesn’t have to be defined by boring predictable trends and media/social media hype in order to be fun and cool and kickass. 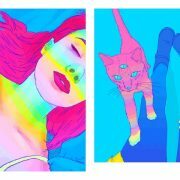 Lola Who: How do you see your work connected to feminism and is that something important for you as an artist? Valerie: I don’t think about anything like feminism when I make pictures. The only criteria I have to satisfy is my own curiosity about the person I’m working with and to make a body of work that honestly reflects our shared experience together. I don’t mind what anyone wants to read into my pictures with regard to feminism, but personally, I’m not into any kind of categorization. Lola Who: You’ve been taking photos of young women for more than 15 years now. Would you say that teenage girls today are different compared to when you first started? Or is everything still the same; with all the stress, chaos, excitement and pain? Valerie: I’d say everything is still exactly the same. Probably always will be. Which is weirdly reassuring. Lola Who: Some of the photos date as far back as early 2000. Would you say this book a retrospective of your work? Valerie: No, it’s not a retrospective. I don’t like retrospectives because that concept isn’t exciting to me. It’s a collection of my favourite images—from personal projects, ad shoots, editorial & previous self-published books and zines. It’s the first book I’ve worked on with a major publisher (Rizzoli), so I wanted it to be a 100% uncompromised vision—unmistakably mine. So many advertising (and editorial shoots) I’ve done have been ruined by a committee of decision-makers with agendas far from my own. Any images in our first selection that looked to have been touched by an outside hand, were left on the Rizzoli office floor! Lola Who: What makes a great photograph according to you? Valerie: I don’t think you can define it. It’s totally subjective. I like pictures that come from a place of obsession and curiosity that are infused with ones own experiences. When I see images that are just following photo/fashion trends, or shot because the magazine needed to cram in some advertisers credits, I’m too bored to even read the credits. Lola Who: How did you select the photos that would be part of “Another girl, Another Planet”? Valerie: I always make physical sketchbooks to work out content and layouts. I chose a generously large selection of pictures to start with, printed them onto A4 paper and spread them out all over my studio floor—trying to figure out a workable sequence. I had several meetings with my editor at Rizzoli in New York and together we narrowed the selection down to a publishable size— about 200 or so—that we felt really worked as a substantial piece. Lola Who: What has been keeping you late recently? Any new projects you are working on that you could share with us?